And it will be ready for Christmas! Thank goodness the days of announcing the new shirt in September, but not seeing the team wearing them until June are now behind us. All down to Andy Moulsdale... shame he's no longer playing but he is a great General Manager. looking really good, hopefully the "away" one will be same in black & gold?? You'll get your answer at 20:18 on Friday. Andy's appointment as General Manager was one of our best "signings" last year, he's been inspiring to say the least. Another unsung hero is Josh Pay. The almost daily announcements at 20:18 are his idea, and the club website and twitter are getting loads of hits every night now. Talking to him yesterday, and there are more improvements to come on the communication front over the next few weeks. Also hearing that season tickets are selling really well, and the hospitality marquee will be bulging at the seams, with most people choosing the platinum and gold options. 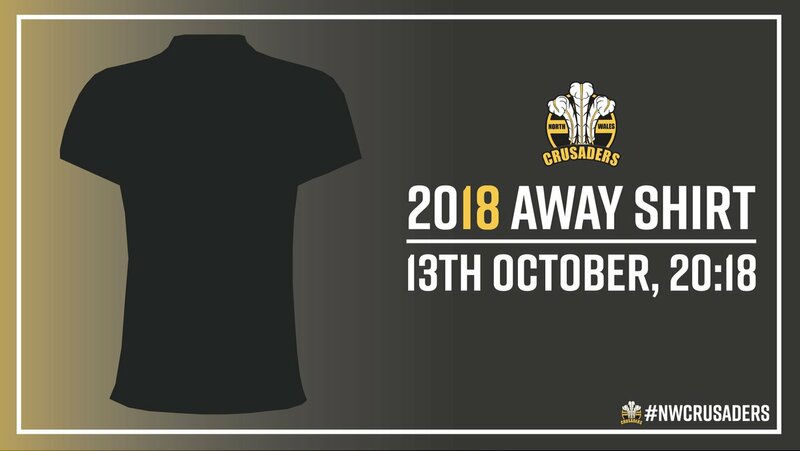 When did NW Crusaders switch from the Black & Gold home shirt? I really liked that branding. I don't see why every team in Wales has to wear red, it's not the national side. We've varied a bit, the original NW Cru shirt was red, and we've had red/green, black/gold, black/red, and green. Are you thinking of our forebears the Celtic Crusaders? Yes, I must be thinking of them. Shame that was lost when they moved, I really thought it gave the team a distinct identity. South Wales Ironmen wore red too, what colour will the West Wales Raiders be? 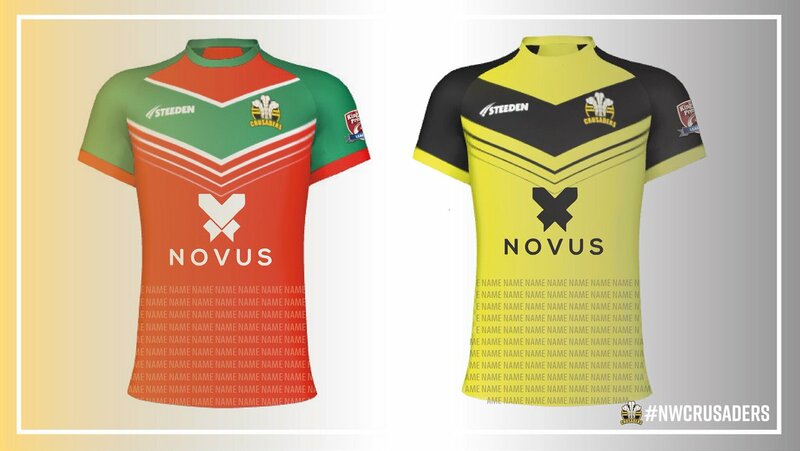 North Wales Crusaders original 2012 shirts were all black with a multicoloures stripped 'V' to reflect our original sponsors Glyndwr University. Our shirts have then ranged from mainly red to mainly black. Last year we seemed to have settles on red/green for home shirts and black/ yellow for away. Personally I've always liked the black/ yellow as its a reflection of the club badge which is based on St. Davids flag (a daffodil yellow cross on a black background) On the club badge this is set behind the 3 Feathers (which I have never liked!) with the words "North Wales" running in the horizontal section of the cross. I like to Flag of Glyndwr which is red and gold quarters - and would make a great choice of colours for our shirts - and look a bit like my SL team Catalans Dragons! Gwaed ac Aur! Heres an old pic of our first kit! I remember trying one of these on, or at least trying to put one on! Even the XXXL had something like a 30" waist! Wrexham Lager now the main sponsors, tidy.